Fiction – paperback; Flamingo; 176 pages; 2003. 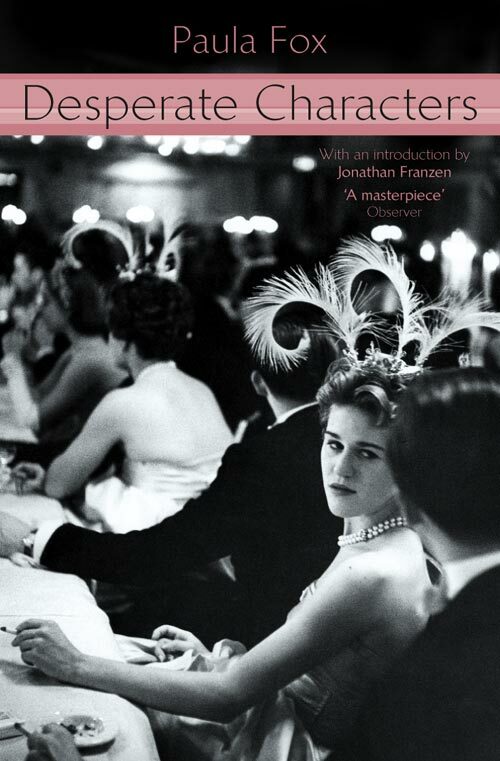 First published in 1970, Paula Fox‘s Desperate Characters has recently been “rediscovered” and much acclaimed by the literary elite (in the introduction to this edition, Jonathan Franzen says that when he first read the book in 1991 he “fell in love with it. It seemed to me obviously superior to any novel by Fox’s contemporaries John Updike, Philip Roth and Saul Bellow”). A relatively short and easy-to-read novel, it is overwhelmingly articulate – on so many levels: in its succinct, snappy dialogue; in its dissection of a marriage under strain between a comfortably middle-aged middle-class childless couple; in its analysis of friendships, also under strain, by social mores and expectations; in its exploration of a woman’s role in society (should she work? should she have children? ); and in its descriptions of the seedy underbelly of 1960s New York life, where drunks roam the Brooklyn streets and faceless people vandalise property. On the face of it not much seems to happen in Desperate Characters. The main character, Sophie Bentwood, gets bitten by a cat, but from that one, small, unexpected act so much fear and loathing rises to the surface. Not wanting to cause a fuss, Sophie tries to hide the bite from her uptight husband, Otto, but then spends the rest of the book stressing that she may have caught rabies. It is Sophie’s constant worrying, not just about the cat bite but the state of her husband’s rocky partnership with a fellow lawyer and the resulting social fall-out, that provides the novel’s momentum. Coupled with the fact that Sophie is plagued by memories of a past love affair with one of Otto’s clients, the reader can’t help but think that the Bentwoods are doomed, whichever way you look at it. Despite the underlying tone of menace, this is a wonderfully realised examination of the human condition that does not resort to melodrama or cliche. A fine gem of a book – and well worth a second read. I wonder if its the same Paula Fox that writes (or wrote) children’s books? I remember reading several good ones in the 70s. Yes, it’s the same Paula Fox, though I came to her like Kim through Franzen. Also, her newish memoir is worth reading. I love this book — great review. She is, indeed, worth re-reading. Dorothy, I’m keen to read a few of her others, in particular, The Widow’s Children.